A real world to discover, the Sector collections! Watches, but also jewels, instruments that transform every day into a challenge to be won with determination and grit, moving through your own personal style. In this section you will find all of the Sector watch collections, as well as the jewellery naturally, conveniently divided up in alphabetical order. 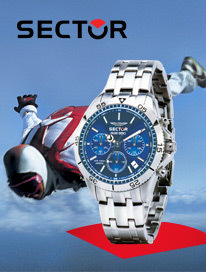 A real journey into the style and universe of Sector, with its watches that have become a real reference point for all sports lovers and enthusiasts of challenges of all over the world. Take a break and explore our collections, the development of style, the incredible functions of the various models. 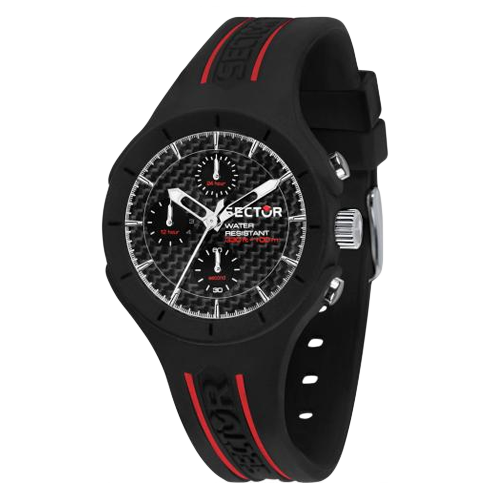 Lovers of sports such as football, surf, climbing and running will find their perfect watch with the incredible technology of the Master collections, with movements designed specifically to provide you with useful information, allowing you to dominate your challenges. Those searching for models with a sporty look, but also suitable for everyday life will be spoilt for choice with collections such as 120, 180, 230 and lots more. Watches for him and for her, in the most resistant materials and with a style that leaves its mark, made to adapt to every situation and to every challenge. Because a real Sector No Limits spirit can be recognized by how it faces every challenge, even the most tiring, with a desire to do the best at all times. The over-the-top style of the Expander collections will conquer those who want to stand out, thanks to strong colours and a very impactful design. The combination of analogical and digital makes them even more interesting. In fact, technology always lies at the basis of the quality of the Sector collections, with modern models. It is the example of the Sector Fit collection, that you will find in this section: a latest generation smartwatch, perfect for sports lovers, it is a real style of live or even the 695 collection that works thanks to an eco-friendly technology. 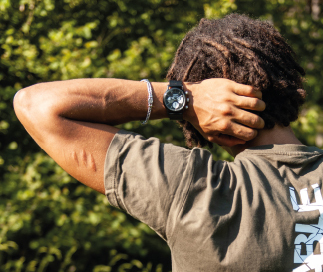 The journey, passion for running, the fascinating world of divers: inspiration for the Sector watch collections is extensive and each one of them adds unique details to every timekeeper. Our desire to transmit passion for challenges takes on unusual shapes as in the case of our jewels, male and female collections adding style and personality to everyday outfits. 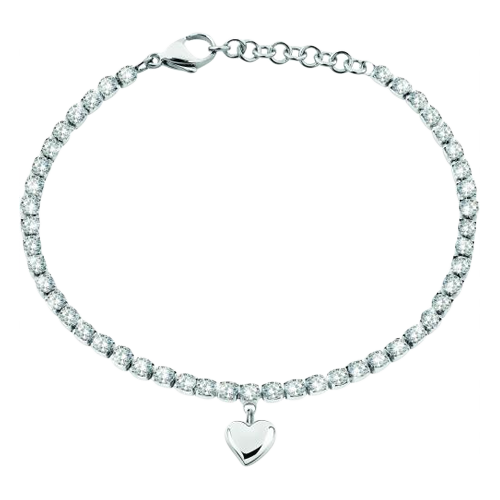 Pendants, bracelets, chains and rings that express grit and a strong desire to make it, but also important emotions. The models for him are in steel and leather and the jewels for her are in steel and crystals: they will be a real discovery for you, you know us thanks to the Sector watch collections. Steel represents the common thread between jewels and timekeepers: a material that we love thanks to its resistance, it can be feisty or precious, extremely shiny or simply basic. Its versatility has allowed us to create time measuring instruments, capable of resisting the most demanding of tests and jewels that are perfect for everyday life. Because ordinary and extraordinary challenges require exceptional allies, just like the watches and jewels of the Sector collections: a heart of steel and Italian design!